Join Gladstone Regional Council in celebrating the vital role parks play in creating liveable cities and thriving communities. From Saturday, March 9 to Sunday, March 17, Gladstone Tondoon Botanic Gardens and various parks around our region will host countless activities and events. These activities and events will suit all ages and are at little to no cost to participate in! Pack your picnic basket, rug and chair and join us for a morning of fun in the park. There will be family games, tug of war, soccer and more! Join us for a leisurely stroll through the picturesque Gladstone Tondoon Botanic Gardens. This guided tour will show you the outstanding collection of tropical, sub-tropical and dry rainforests from the Port Curtis Region and Far North Queensland. After the walk, enjoy a morning tea with other attendees and your tour guide. 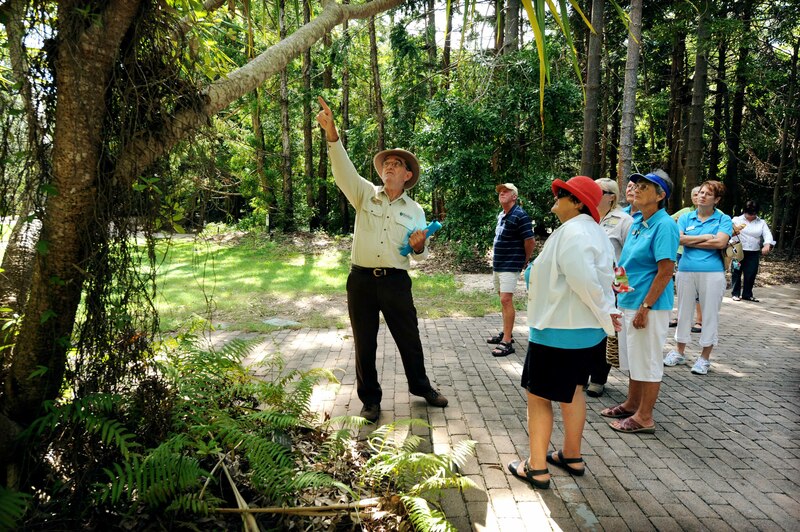 Join us for a guided tour with Gladstone Tondoon Botanic Gardens Curator, Brent Braddick and the Conservation Team, learning about the flora and fauna hidden away at Canoe Point Reserve. Learn to cook exotic dishes to impress at your next family event! Savour the Flavour will teach you tips and tricks to whip up the ultimate dish. Join us for a guided Creatures of the Night Tour, exploring the habitat of our nocturnal animal friends. Supper will be included. Join us on a short, guided tour of the Gardens learning about its native flora and fauna. The tour will be followed by an introductory bush tucker taster session prepared by Savour the Flavour café. Bring your family and friends to Moonlight Movies. This pop-up cinema events are free to attend and suitable for the whole family. Check out the line-up of family-friendly movies on Gladstone Regional Council’s website at www.gladstone.qld.gov.au/moonlight-movies. Sit back and relax listening to the region’s best performing artists. Don’t forget your picnic basket and blanket! Enjoy an afternoon of live entertainment, featuring our talented locals! Bring your family and friends for an afternoon of fun! Join us for the official opening of Bray Park Skate Park. There will be free scooter and skateboard workshops, live entertainment, prizes, free food and much more!